Written on December 18, 2016 . Posted in Knowledge Base, Manufacturing, Construction, Industry News, Engineering, Tech Tips. There’s little argument that Australia’s manufacturing industry is in a period of transition. With Ford ending production in October 2016 and Holden soon to follow suit, many skilled workers are finding themselves in a state of career flux. With the passage of one area of manufacturing, however, a new generation is emerging. 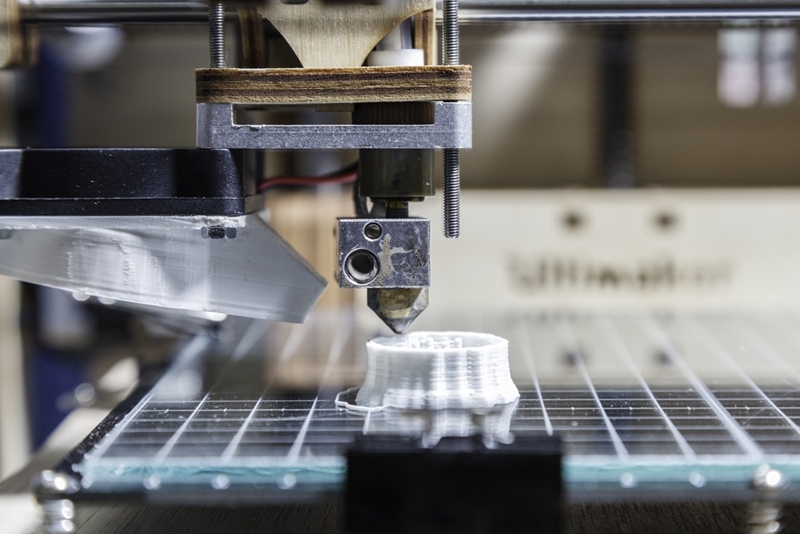 In the fields of digital prototyping and additive manufacturing – more commonly known as 3D printing – exciting new opportunities for Australian businesses are opening up. Additive manufacturing is making an impact in Australia. In its “Advanced Manufacturing: A roadmap for unlocking future growth opportunities for Australia” report, the Commonwealth Scientific and Industrial Research Organisation (CSIRO) included additive manufacturing amongst its five key trends to focus on in the coming years. “The Advanced Manufacturing Roadmap is the compass that guides our excellent science to deliver the breakthrough innovation needed to re-imagine Australian advanced manufacturing,” said Dr Larry Marshall, CSIRO chief executive. Exciting opportunities are opening up in the fields of digital prototyping and additive manufacturing. The agency estimates that deploying the innovative technology will reduce prototyping costs by as much as 70 per cent, and with the initial cost of investment reducing every year, additive manufacturing is only likely to expand. That growth has, in fact, already begun – the CSIRO report notes that in 2015 there were over 100 polymer-based and six metal-based industrial systems installed in Australia. At the core of both major car manufacturers’ decision to leave Australia behind is competitiveness – the nation’s plants were simply unable to keep pace with more cost-effective facilities offshore. The speed and affordability of digital prototyping, however, means that divide is narrowing, with Australian manufacturers capable of developing high-quality products at a fraction of the cost. The challenge is having the people with the skills to take up the tools of modern, digitally driven manufacturing. The CSIRO forecasts that three-quarters of new jobs will require skills in science, technology, engineering and mathematics (STEM), and transitioning just 1 per cent of the national workforce into STEM roles could boost GDP by over $57 billion. Acquiring the necessary skills and tools to take part in Australia’s digital manufacturing revolution doesn’t need to be difficult. Cadgroup offers training in a range of Autodesk solutions – including Inventor, the world’s premiere professional-grade 3D mechanical design, documentation, and digital prototyping tool – as well as customisable configurations of the software. Get in touch with the team today to learn more about digital prototyping.